Rocketbirds: Hardboiled Chicken was one of those titles that slipped past the radar of a lot of people, but it was a fairly solid co-op action platformer with some fun mechanics. The developer recently announced on the European PlayStation blog that a sequel, Rocketbirds 2: Evolution, is in the works and brings with it some needed enhancements. The biggest new feature that was revealed is the reworking of the game's co-op mode. 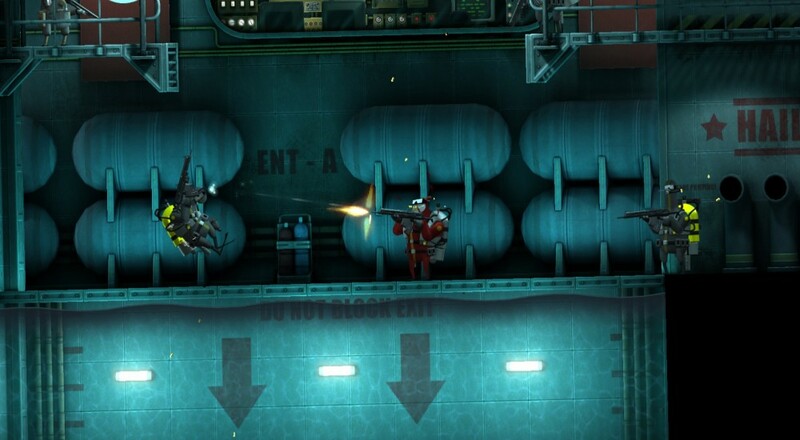 Now called "Rescue Mode," players will be able to customize their own Budgie Commando with new guns and items, and then take that commando into procedurally generated levels with the goal of rescuing hostages. This would give the game's co-op, which was previously limited to just 10 set levels, more replayability than was there before. In addition to the revamped mode, Rocketbirds 2: Evolution will be a cross-buy/cross-play title for the PlayStation 4 and Vita, meaning you can play with friends at home or on the road. No release date has been set for the game, but it seems like it will be hitting sometime this year. Page created in 1.5479 seconds.